I believe in protecting patients' rights to confidential treatment. I am a psychotherapist. But I also believe that airlines need to have separate procedures in place for pilots who have any mental health history, including more nuanced "duty to warn" laws and modified medical privacy laws. Those laws then need to become international policies-- a new gold standard by which all airlines operate. One hundred and fifty people died on March 24th, 2015, when Andreas Lubitz, apparently intentionally, crashed a Germanwings flight into the side of a mountain. I'm a mother of three. When I read several of the obituaries from my New York City office, I cried. I can't imagine how terrifying it was for those passengers. There were women with small children in their arms on that flight, an image that's been haunting me for days. I can't imagine the sorrow the bereft now shoulder. This tragedy has left me and many colleagues wondering what German laws will dictate its doctors do about patients they deem a risk to themselves or others, going forward? If a patient comes into my office and discloses that he is a threat to himself or to anyone else, it is my obligation, under U.S. law, to immediately warn both the proper authorities and any potential victim. Our "duty to warn" law has become even more important in light of the mass shootings that have taken place in the United States over the last few decades; Columbine and Sandy Hook immediately come to mind. These laws were established after several court cases over preventable deaths in the United States, the first in 1976. It protects victims from violent behavior; it protects the unwell person from themselves. It protects the medical provider from being sued by a patient because they warned the public. Germany, according to a March 30 article from the Washington Post entitled "Co-pilot of doomed plane was treated for suicidal tendencies...," has very strict medical privacy laws. It stated that doctors in Germany can face intimidating legal consequences, like jail time, for disclosing private information if they are found guilty of disclosing unnecessarily. It went on to explain that German laws also leave it up to a patient to tell an employer if they have ever been excused from work by a doctor or mental health provider. If a person takes a job as a pilot, he should be counseled that upon signing an employee agreement, the privacy of his mental health record will be compromised to some extent. The finance industry requires traders, for example, to give their employers access to private financial accounts and control over personal trading activity. An individual simply needs to know that by pursuing a certain career, personal freedoms are sacrificed for the greater good. From a practitioner's point of view, it's common knowledge when you are doing an assessment that if you ask a patient if they are feeling suicidal or having suicidal ideation, they will usually self-disclose. Could this tragedy have been prevented if an airline psychiatrist, who had an established rapport with Lubitz, verbally checked in on a routine basis? We will never know, but it seems logical to seriously consider. From the accounts I have read, Lubitz was given a psychological evaluation when he was hired in 2013, but was not assessed again during his employment. The fact that Lubitz's loved profession could be at risk if he came forward about his mental health problems only added another layer to this delicate situation. An airline should know how to handle this complicated conundrum with professional ease given what's at stake if they do not. The idea that it falls to the pilot, who is mentally decompensating, to tell their employer that they aren't fit to work needs to be given serious consideration. We wouldn't expect someone who is having a seizure to call their boss, or someone who is dehydrated to put in their own IV. You're asking a person who is mentally impaired to use good judgment. Laws can protect people as they quickly become more depressed, more suicidal, and perhaps more psychotic. Their rational thinking window is quickly closing. As medical providers, we can't be scared to help them. That is, in the end, our job. When researching this piece, I realized that pilots don't fly with the same co-pilots every time; the lead-pilot might not have realized Lubitz seemed unusually off that day. But according to news reports, the air traffic controller who listened to take-off noted that Lubitz's responses to the head-pilot's questions seemed "terse." One-word, withdrawn answers are usually a sign that someone isn't feeling right. 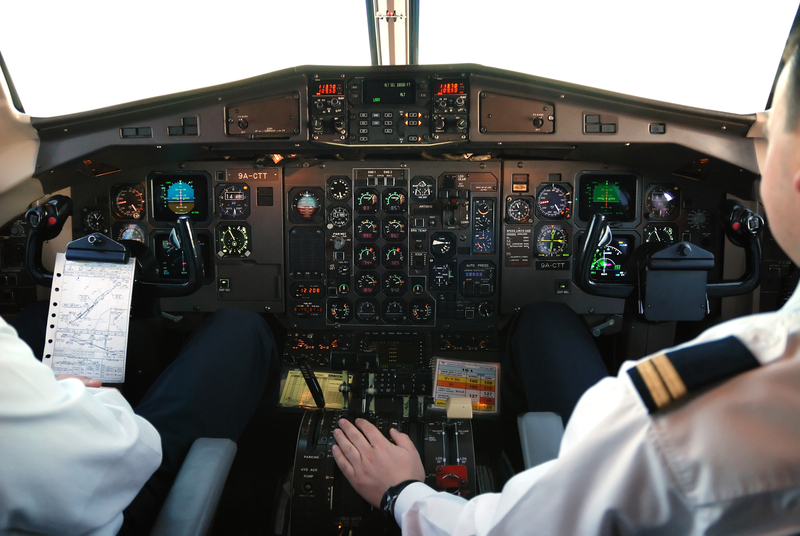 So I ask, are pilots trained to do any kind of assessment on their co-pilots? And if they do feel like something is off, is there any system in place to help guide both parties to make a decision not to fly together, on that particular day, without being punished professionally? Lastly, I hope this tragedy fuels more public awareness that we all need to know the signs and symptoms of someone who is having a psychiatric emergency (hearing voices, extreme anger, or social isolation, just to name a few). Most of us know the symptoms of a heart attack, or a diabetic reaction. If we can better understand and recognize mental breakdowns in more clinical terms, it will further de-stigmatize mental illness and those who suffer from it, and will help prevent tragedies like this from occurring again.